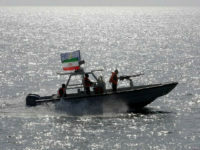 Iran successfully test fired what it claimed is a cruise missile on Sunday during naval exercises near the contested Strait of Hormuz, according to Iran’s state media. 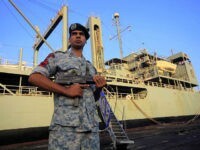 Iran’s navy is ready to begin an annual drill in the strategic Strait of Hormuz as the re-imposed United States sanctions against the Islamic republic, targeting its vital oil sector, begin to bite. 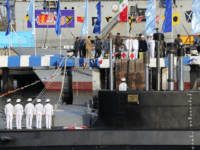 Iran launched a new domestically produced missile submarine Sunday amid mounting tensions with the U.S. and Saudi Arabia in the disputed waters of the Persian gulf. 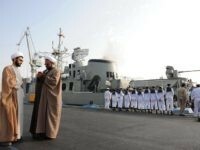 Iran is expected to deploy its most advanced homemade destroyer and other warships to waters in the Atlantic Ocean near the shores of the United States starting in March, marking the second time the rogue regime sends its navy to the region, the Islamic Republic’s naval commander reportedly revealed Friday. Iran will ensure that “no oil” is exported from the Persian Gulf region if the United States moves ahead with sanctions, Hassan Rouhani said. 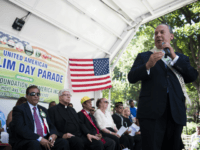 Rabbi Marc Schneier, president of the Foundation for Ethnic Understanding (FFEU), who maintains extensive ties with countries in the Persian Gulf, said he has recently seen a vast improvement in relations between Israel and the Gulf states. A close maritime encounter between the Iran Revolutionary Guard’s navy and the USS Theodore Roosevelt earlier this year was captured on video, according to Iran’s Press TV service. 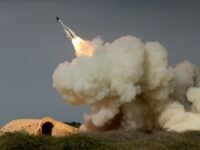 The Iranian Navy on Saturday boasted that it possessed airships capable of carrying out the swiftest missile strikes in the world against enemy targets. 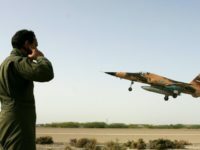 Iran held its latest in a string of threats and military muscle stretches in the Persian Gulf on Friday, as an assortment of jet fighters conducted a “show of strength” aerial drill, to be followed by a naval exercise on Saturday. 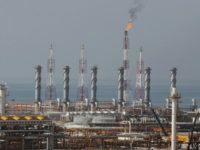 TEHRAN, Iran — Iran’s official IRNA news agency says the country’s air force is carrying out a drill near the strategic Strait of Hormuz in the Persian Gulf, the passageway for nearly a third of all oil traded by sea. 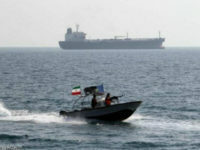 Secretary of State Mike Pompeo on Monday evening dismissed Iran’s claim to control the Strait of Hormuz and the entire Persian Gulf. Pompeo promised that the United States would continue to protect freedom of navigation in those international waterways. 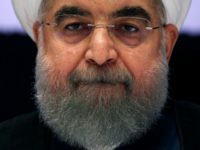 Iran on Monday ratcheted up both its threats and its pleas for rescue from American sanctions, belligerently claiming complete control of the Persian Gulf and seeking to expel the U.S. Navy while demanding European nations promise to alleviate sanctions against its banking and oil industries. The United States Navy expects a “period of uncertainty” in the Persian Gulf following President Donald Trump’s decision to terminate America’s participation in the Iran nuclear deal, the chief of the U.S. military branch said this week. 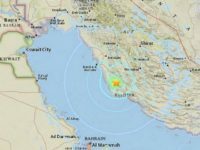 TEHRAN, Iran — An earthquake of at least magnitude 5.5 struck in southern Iran near the country’s sole nuclear power plant on Thursday morning, shaking countries across the Persian Gulf. There was no immediate report of damage or injuries. 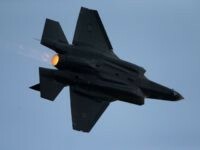 Two Israeli F-35 fighter jets entered Iranian airspace over the past month, Kuwaiti newspaper Al-Jarida reported on Thursday. 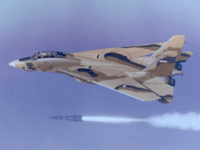 The act is a signal of heightened regional tensions, especially in light of recent Israeli military attacks in Syria, including against Iranian bases in the country. 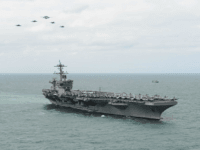 American naval forces have reportedly seen a definite change in Iran’s behavior, noting that the Islamic Republic has apparently stopped provoking U.S. 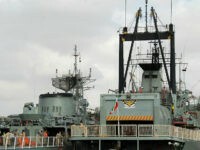 Naval ships in the Persian Gulf for nearly a year. 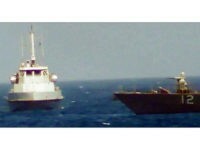 Iran’s military has reportedly stopped harassing United States naval vessels with their fast boats in the Persian Gulf for the last five months, leaving American military observers with little explanation for why. 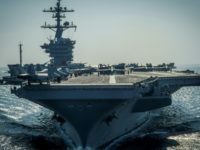 The aircraft carrier USS Theodore Roosevelt and its strike group have arrived in the Persian Gulf to participate in Operation Inherent Resolve, the U.S.-led coalition against the Islamic State in Syria and Iraq. 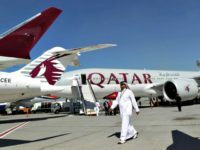 Tea Party Patriots is asking President Donald Trump to tackle violations of the Open Skies executive agreements by three Persian Gulf airlines as part of his America First policy to help protect U.S. companies from being undercut by other countries that are subsidizing their foreign workers. 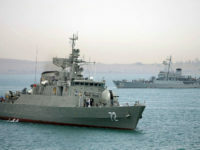 The Iranian navy claimed Sunday that it warned an American warship that approached a damaged Iranian fishing vessel in the Sea of Oman last week to stay away from the area. U.S. officials denied the encounter. 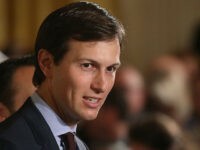 White House adviser Jared Kushner has touched down in Cairo, the latest stop on his Mideast trip to discuss the possibility of resuming the Israeli-Palestinian peace process. 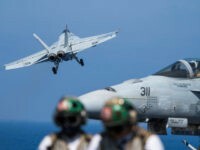 An Iranian drone aircraft came within 200 feet of a U.S. Navy jet in the Persian Gulf on Tuesday, forcing the pilot to take evasive action during an approach to the aircraft carrier USS Nimitz. 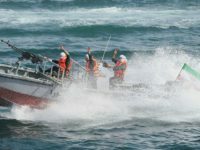 An Iranian vessel approached a U.S. Navy ship in an aggressive and unsafe manner on Tuesday, ignoring all attempts to communicate and forcing the Navy ship to fire warning shots. 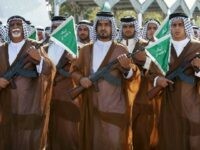 The U.S. and Qatar signed an agreement Tuesday to crack down on the financing of terrorism. 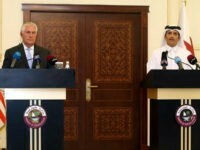 The agreement was signed as Secretary of State Rex Tillerson looks to resolve a crisis in the Persian Gulf between Qatar and Saudi Arabia and its allies. 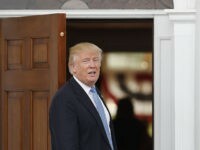 US President Donald Trump spoke separately with several leaders of nations in the Persian Gulf region and addressed ongoing disputes between Qatar and some of its Arab neighbors, as Gulf states that levied a de facto blockade on Doha extended a deadline on answering demands by two days. TEL AVIV – Iran recently used a Star of David as a target for a ballistic missile test, Israel’s envoy to the UN said Wednesday, releasing satellite images of the site to the United Nations Security Council. 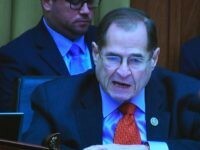 State sponsor of terror Iran and communist China began holding a joint military exercise in the Persian Gulf this week, where provocative clashes between the U.S. Navy and ships from the Islamic Republic have escalated in recent years. 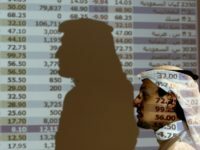 Israel and Saudi Arabia have reportedly been holding talks to establish economic ties, according to British newspaper The Times, which cited American and Arab sources in its report. 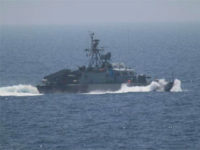 A U.S. Navy destroyer had another close encounter with an Iranian Revolutionary Guard “fast attack craft” in the Persian Gulf Monday.